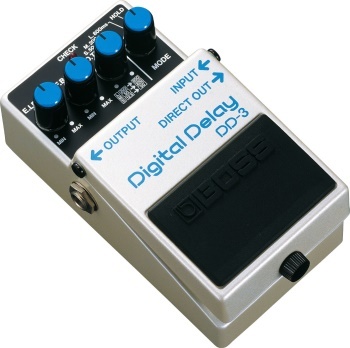 The Boss DD3 Digital Delay Pedal delivers quality digital delay comparable to that of a dedicated rackmount unit. The DD3 features 3 delay time modes, and a delay control button is also furnished to give you fast, precise adjustments of delay time. Delay times range from 12.5ms to 800ms and a hold function lets you repeat the delay indefinitely.